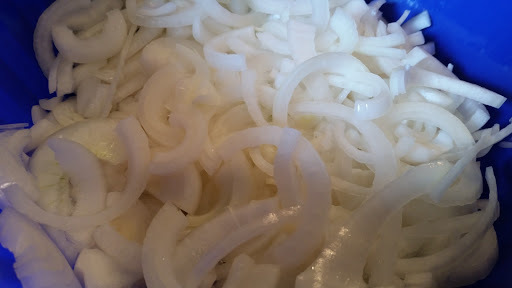 Before I get to the recipe for a homemade onion soup mix, I’ll show you a few other things I did with this mountain of onions I have. One of the easiest ways to preserve fruits and vegetables is to dehydrate them. 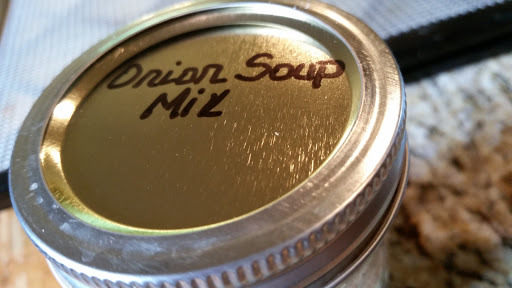 I especially like this process for onions, celery, cabbage, and peppers, because I can store them in airtight containers and add them to soups and stews when needed. Wash, peel, and slice the onions 1/4 inch thick. 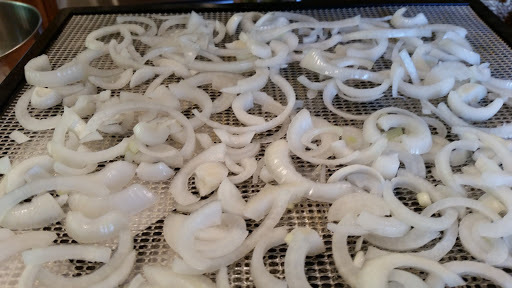 Place on dehydrator trays and process at 130-135 degrees for 10-12 hours, or until the onion slices are completely dry. I use an Excalibur 9 tray dehydrator and LOVE it! 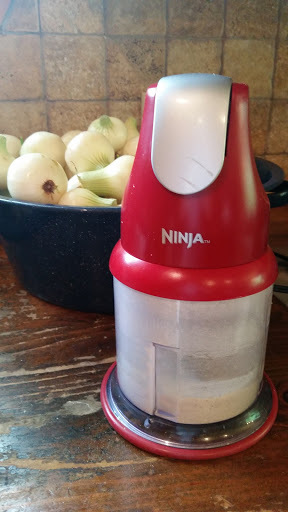 When the onions are sufficiently dried, you can pack them into airtight containers or you can make onion powder, which is what I did. 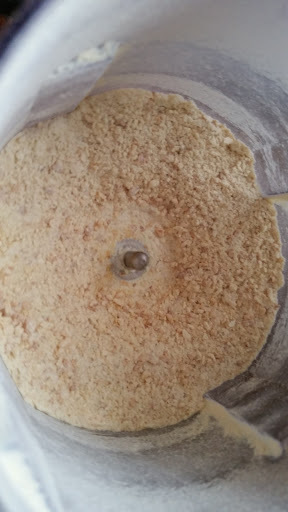 Place the dehydrated onions into a food processor or grinder and process until it is in powder form. 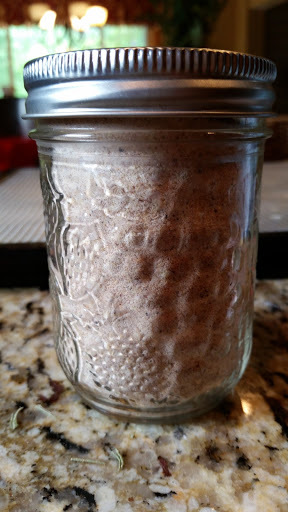 Place in an airtight container and use in any recipe that calls for onion powder. 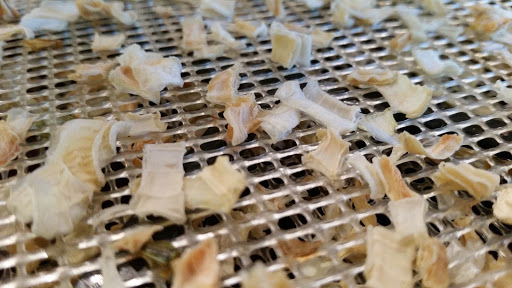 Dehydrated onions…onion soup mix. You probably see where this is going. I love having mixes on hand to add to recipes. This is great in burgers, meatloaf, dips, or roasts. Use your imagination! In a medium bowl, mix all ingredients well. Store in an airtight container. How simple is that?! ?